A good amount of snowfall and sub zero temperatures in the Badrinath region may lead to Auli, situated near the shrine town and regarded by many as one of the best skiing destinations in the country, finally hosting the national winter games after 4 year gap in the first week of February 2019. The games were last held at Auli in 2015. Absence of sufficient snowfall had prevented them from being organized in subsequent years. 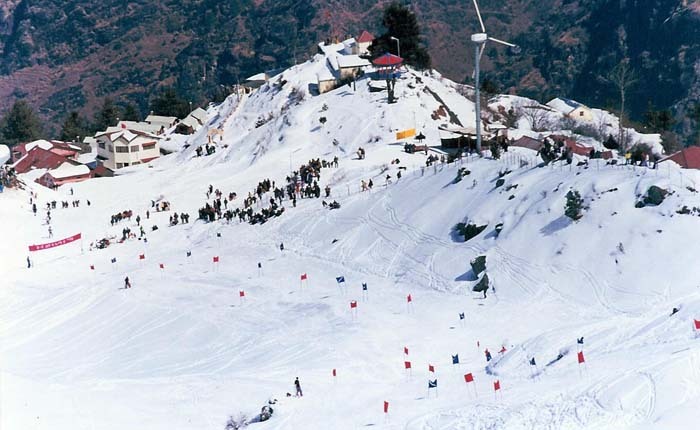 Officials of the Garhwal Mandal Vikas Nigam (GMVN) the nodal agency for the games said that they are confident that enough snow will be available on the slopes this year. "The temperature this year has consistently been below zero degrees. Coupled with the continuous snowfall, the snow making machine that we have imported is also producing snow, said RP Dhaundriyal, publicity in charge, GMVN. He added that the winter games will start with the National Junior Skiing Championship in the first week of February 2019 followed by the National Skiing Championship. Dhaundriyal said that they are also subsequently trying to host the South-Asian Skiing Championship � last held in 2011 at Auli. "The environment is finally apt for the games. We have prepared the tracks and the schedule for the games will also be released soon" Dhaundriyal said. The snow making machines which had been purchased by the state government with assistance from the central government had not been operating normally for years. According to Dhaundriyal, the machines are not able to produce snow because the temperature does not allow it to do so. "For years, the temperature did not go below zero degrees. If the temperature is above zero, the machine cannot operate effectively and produces water instead of snow", he said. Kamal Kishore, a ski instructor based in Auli, added that "the snowfall this year has made the slopes perfect for holding competitions. ""The thickness is good and the texture too is perfect. We have held practice sessions on the slopes and everything went well." Experts however said that Auli was still not ready to hold international competitions. "We do not have optimal slopes for holding multiple events which are required in case of international championships. Auli also currently doesn't have reliable transport facilities. Neither is there any airport in the vicinity. The single helipad is at Gauchar which is two hours away said SS Pangti, former president of Uttarakhand Winter Games Association. With a view to provide faster access to health services for people living in hilly areas of the state, the All India Institute of medical Sciences (AIIMS) Rishikesh is soon going to initiate heli-services to reach out to people staying in relatively inaccessible areas. 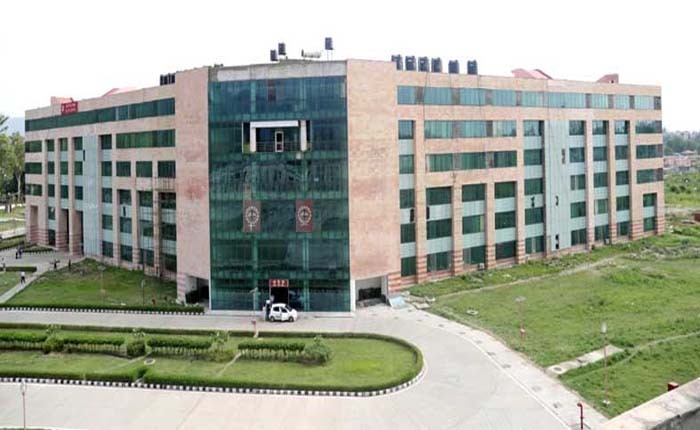 AIIMS Rishikesh Medical Superintendent, while speaking at Haridwar Press Club on the theme �Challenges before health sector in Uttarakhand� on Thursday said that two helipads have been constructed in the institute for the this purpose. "In hill districts, shifting accident victims to a hospital in time is a great challenge. If a patient can be shifted to a trauma centre within the critical period, there are great chances of survival." Gupta said. He added that in the past one year, over 90% accident victims were saved as they were flown to AIIMS by helicopters provided by the state government. Gupta further said that lack of awareness among the people and insufficient trauma centres also pose as big challenges. "It is important to disseminate correct health information among patients. For example, around 95% cancer patients sought treatment from us when it was already too late. Around 50% patients diagnosed with cancer discontinue treatment and go to either self-proclaimed doctors or to religious places. When they finally return to us, the disease is in a very advanced state, he said. 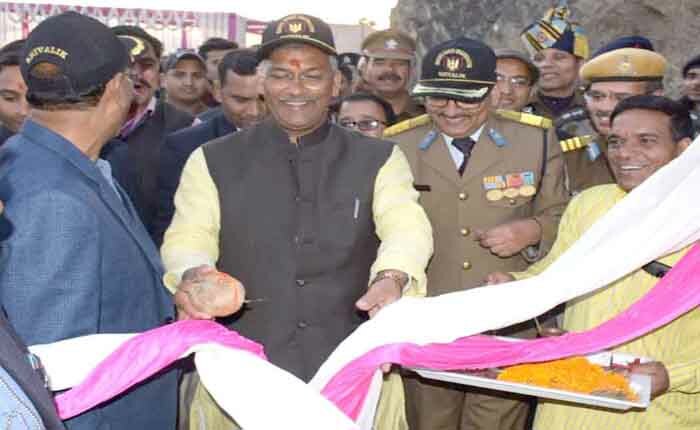 Chief Minister Trivendra Singh Rawat inaugurated and laid foundation stones of 89 development projects worth Rs 221 crore in Tehri district on Wednesday. A total of 49 projects completed at an approximate cost of Rs 88.84 crore were inaugurated, while foundation stone of 40 projects worth Rs 132.97 crore were laid in Tehri district. The projects belonged to rural development, Pradhan Mantri Gram Sadak Yojana, education, drinking water, Public Works Department, agriculture, health, minor irrigation and Ayurvedic departments. During the foundation laying ceremony, CM Rawat said, �Work on building bridges to shorten the travel time for general public is being expedited. There is a demand of 220 bridges in the state which would be built by 2002. Rawat added that approval for building 125 bridges has been given this year, adding that, "A sum of Rs 87 crore has been given for early completion of Dorachanti Bridge and soon it will be dedicated to the people." He also announced that international status will be given to the Tehri festival this year and people from 13 countries will be invited for the fest. He added that the state government has proposed to hold Tehri Lake festival on February 25, 26 and 27 every year. 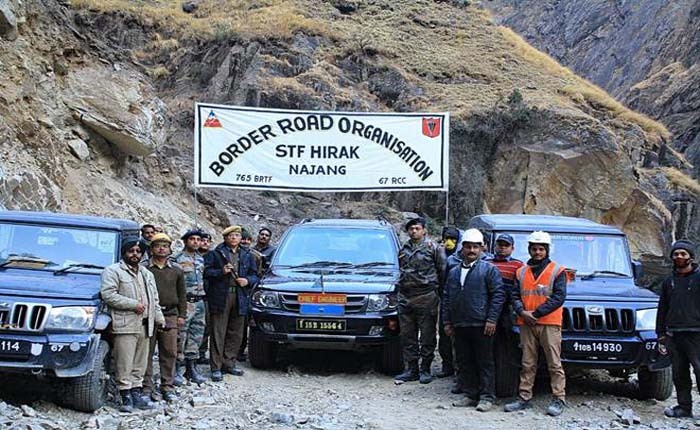 The Border Road Organisation (BRO) accomplished one of the rare feats by completing a crucial 2.5 km long stretch connecting Lakhanpur to Najang, which lies at the Kailash Mansarover route near Lipulekh pass on international border along Nepal in Pithoragarh district. The stretch is part of the Kailash-Mansarovar Yatra circuit, which the BRO is planning to complete by December, 2020. The stretch which is over 2400m in height is considered to be one of the most difficult projects to complete. It took 10 years to construct the stretch, and BRO engineers have confessed that the narrow track and terrain were the biggest challenges to construct the road. Appreciating the achievement, Defence minister, Nirmala Sitharaman tweeted that road connectivity to Najang will ensure accesses to people of Lamari, Buddhi, Malpa, Chiyalekh, Nabhidang and Garbhadhar in Pithoragarh district. She tweeted, "To all men, officers & the DG Border Roads Organisation congratulations & well done on Project Hirak. #BRO is engaged in the construction of Kailash Mansarovar Yatra route. 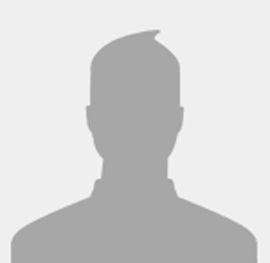 Portion between Tawaghat-Lipulekh pass via Ghatiabagarh is an important constituent." She said that a very crucial milestone has been achieved on 15 January 2019 by connecting Lakhanpur to Najang by BRO. This connectivity is in Dharchula Sub Division of Uttarakhand, where the only alternative route was a mule track passing below the new road alignment. "The will provide round the clock connectivity to our troops in Vyas Valley", the tweet added A senior official in the BRO said that for Army to reach Najang area before the project started was nothing short of a logistic nightmare'. As the route from the India side was inaccessible and taking the Nepal rote was not reasonable. Officials said that it is used to take 5 hours for a porter to reach Najang using the bridges at the border, but now it is only a 5 minute drive to Najang. For our Army personnel, it is very important. The Lakhanpur-Najang stretch is the lifeline of the entire region since it falls on the Mansarovar Yatra route. "The difficulty the project has been facing can be estimated by the fact that machines worth Rs 3 crore were damaged due to the terrain and 10 labour causalities were recorded," the BRO officer said.